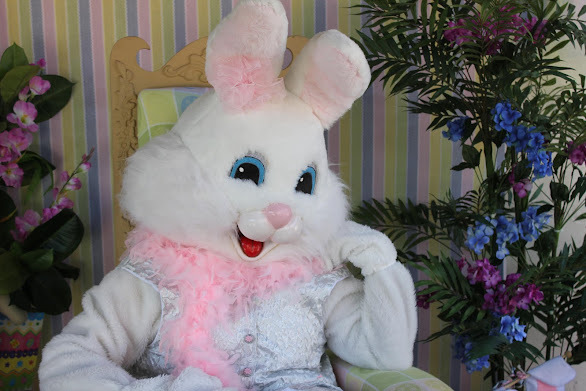 11 Fantastic EASTER BUNNY Dates at SEAPORT VILLAGE Beginning Saturday, APRIL 6th + 7th and 12, 13, 14, 15, 16, 17, 18, 19 + 20th !!! and 'SANTA CLAUS' only at SEAPORT VILLAGE! " Beginning Saturday, APRIL 6th + 7th and 12, 13, 14, 15, 16, 17, 18, 19 + 20th !!! 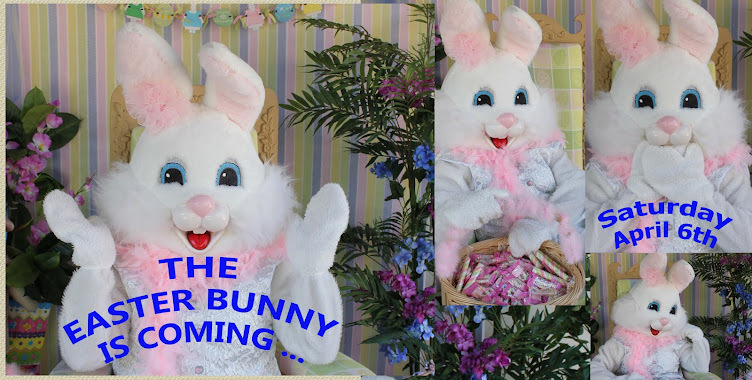 "Heavy Rain might alter the EASTER BUNNY Schedule"
* All Ages Welcome + Groups, Schools, Day Care, Pets … Everyone is WELCOME! * FREE BUNNY TREATS for ALL! 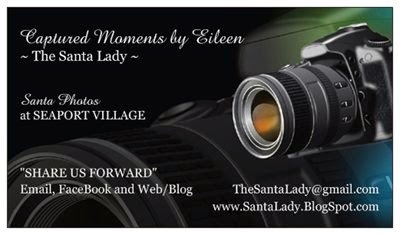 Click on this link:http://www.SantaLady.BlogSpot.com to view ALL the dates, times, plus much much more is displayed for your convenience. We always have so much FUN out at SEAPORT VILLAGE. Come on out and join in on the fun!!!! 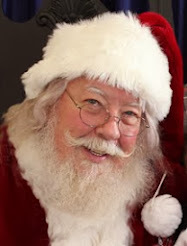 Below is shown to remind you of our beautiful and amazing Santa's. 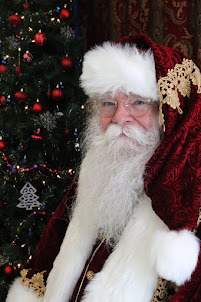 We are looking forward to your visit with Santa at Seaport Village very soon!
" Please Share Us Forward "
We will have lots of fantastic dates to spend together !!! 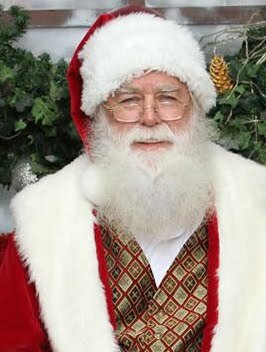 The earlier in the season you come to enjoy your traditional visit with Santa, the sooner you can prepare your holiday Santa photo cards, gifts, shorter lines and fantastic early bird planning! !!! Please ... Share Us Forward !!! 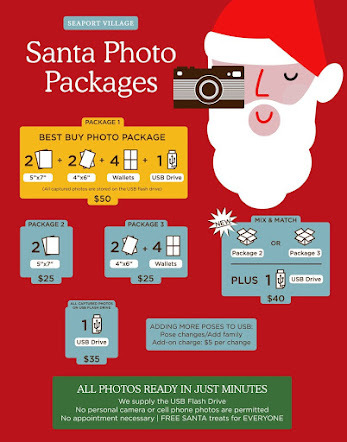 2018 Santa Photo Packages ... ALL Photo Packages are Ready in Just Minutes While You Wait ... We provide the USB Flash Stick included in BEST BUY #1 Photo Package ... Also Sold Separately ... 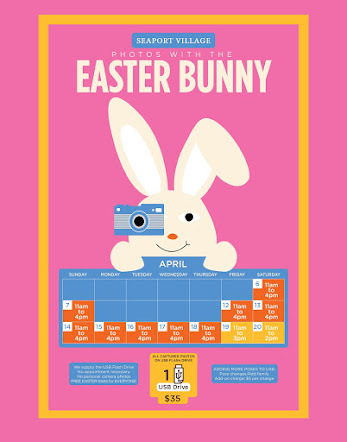 Contains ALL Captured Moments - PLUS - a Photographers Release for your Printing Preference! 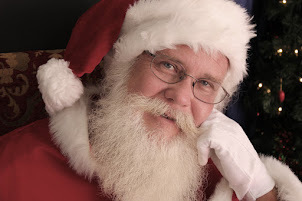 "Heavy Rain might alter SANTA'S Schedule"
* FREE SANTA TREATS for ALL! 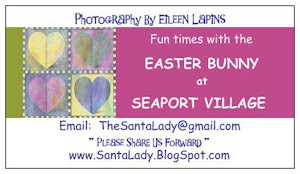 Click on this link: http://www.SantaLady.BlogSpot.com to view ALL the dates, times, plus much much more is displayed for your convenience. 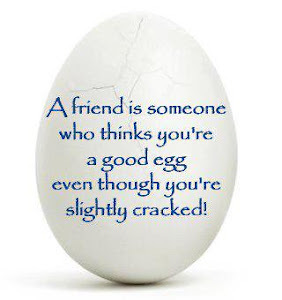 Wishing You & Yours a Beautiful and Wonderful Year Until We Meet Again!!! I do what I LOVE -and- I LOVE what I do! 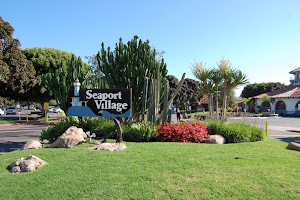 SEAPORT VILLAGE ... Where the FUN begins!
" SEAPORT VILLAGE IS OPEN "
!!! PLEASE SHARE US FORWARD !!! Really squeezable stuffed animals, unique clothing, gifts, hats, kites, wind chimes, music boxes, jewelry, art galleries, bay-view dining restaurants, international eateries and more! 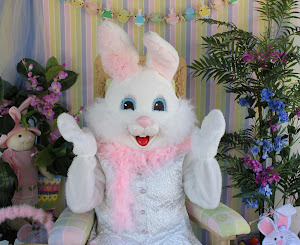 Seaport Village has the cutest Easter Bunny in ALL of Southern California! She is the cutest Bunny ever!!!! Our Bunny is so much FUN! Come on out and join in on the FUN!!! "LETS BE FACE BOOK FRIENDS!" " It's been a joyful blessing to have my 2ND Generation Santa!!! " 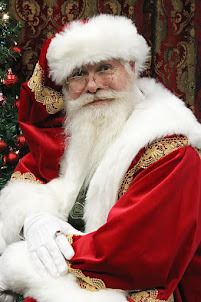 Some of you from long long ago may remember his father; 'Santa K' ... He always said that someday he would fill his father's Santa Boots and he is doing it beautifully!
" Santa Later Dates at Seaport Village "
Come witness a beautiful display of fireworks over the bay. The parade of beautifully decorated boats begins immediately after fireworks. This is a cherished San Diego holiday tradition and Seaport Village is the perfect viewing location. * Santa Claus will stay late on these 2 Sunday's ... Just For You!
" 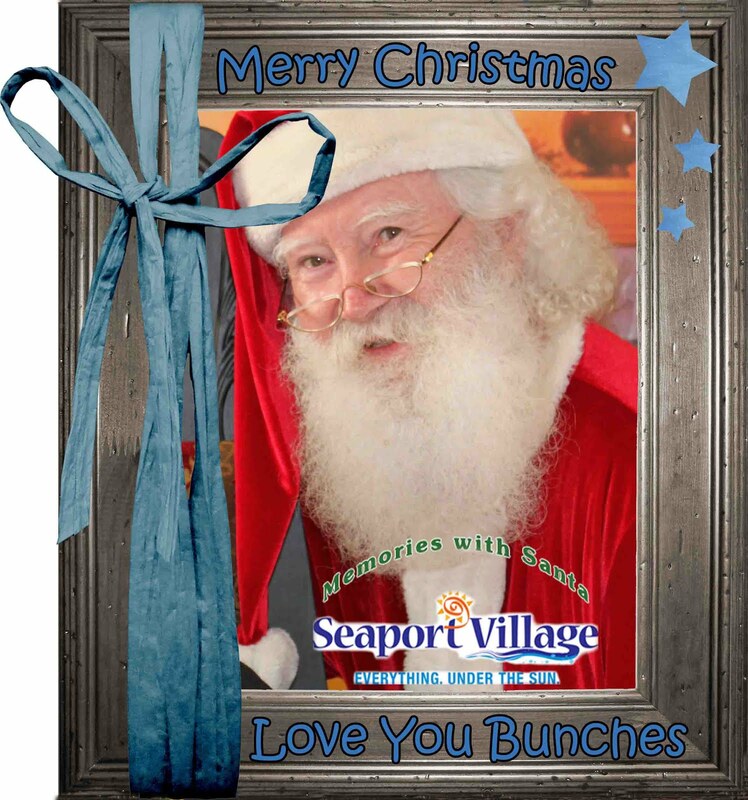 Capturing Memories with Santa Claus at Seaport Village "
I will cherish our fun and extraordinary moments together forever. Santa, you will forever hold a very special place in my heart my friend.